Does your church rely on social media and other technology to reach the lost? Check out what the good people at the Leadership Network discovered. Where is your church represented below? Does anything surprise you? In what ways is your church leveraging technology to build community, communicate, or make disciples? This infographic lists Facebook and Twitter as the two most ‘common‘ social media platforms used by churches polled to reach the unchurched. For the sake of discussion, common doesn’t necessarily mean effective. So here’s the question? 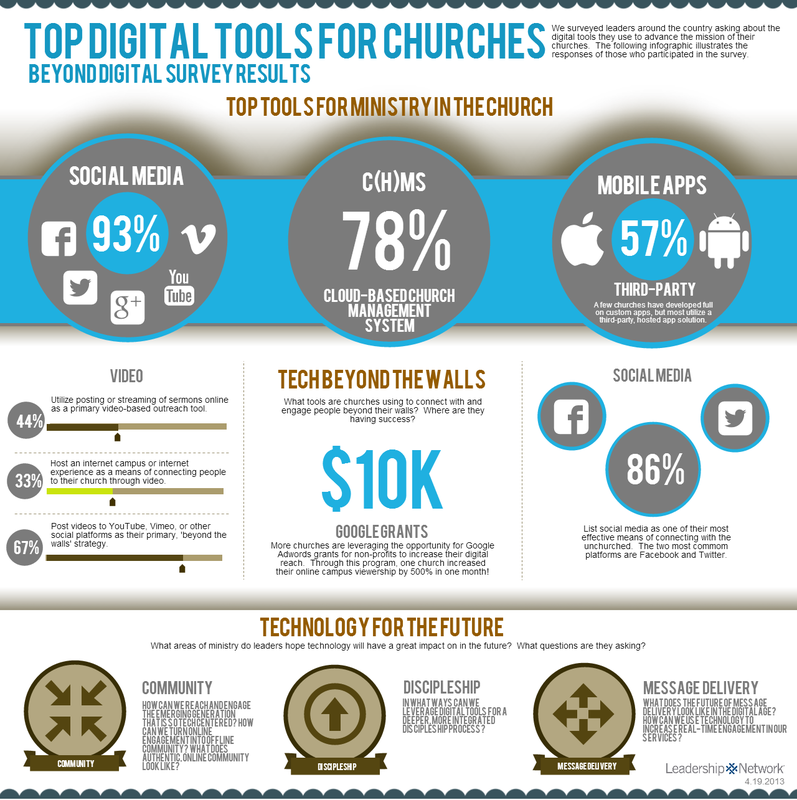 Do you think Facebook and Twitter are the most effective platforms the church can reach the unchurched today in 2014? Or, does the answer depend upon each church’s individual geography and demographics? Join the discussion. Comment below. You can also connect with me on Twitter.